Wow, 2013! My cousin Heather is a blogger, Smart and Savvy Style, and she blogged about resolutions this week. It’s funny because I feel the exact way she does – I don’t make them. I started CrossFit last year before Christmas – take that all you “I’m gonna wait until the beginning of the year to start working out!” To me, it shouldn’t matter – if you want to grow, make a change, try something new, take a chance – you should just do it! walk across the Davis Theater stage and grab that stinkin’ diploma! lose my last 30 pounds. get a 125 pound clean and jerk. get a 225 pound deadlift. get 10 double unders, unbroken. jump on a 24 inch box. get a pull up either without the band or with just the blue band. visit the hot tub during our annual cabin trip. complete the 30-day cleanse and lose at least 15 pounds, what?!?!?! become financially free, already working on this one! There they are – my goals for 2013. Well, it’s been a few days since my last post. My apologies! I suppose I should get you up to speed on what’s been going on this week. I posted my before and after picture, which received a lot of feedback – thank y’all so much, but I also received a comment from Transformation Pics. They are going to feature my “CrossFit story” and results on their blog. I am super excited about it. With the help of Shelby Dix (photographer) and Coach Wesley Hodges (director), some photos were made of my “work” in the box. Be sure to follow Transformation Pics and look for my story. 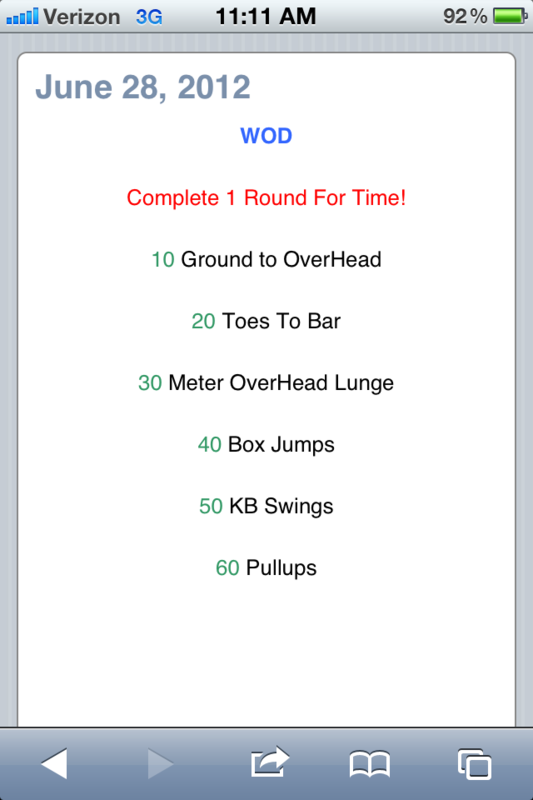 Tuesday’s WOD was pretty tough considering it was raining cats and dogs! We ran 400 meters in the rain, Tabata Box Jumps (1/2=4 rounds) and Max Effort Pull Ups all for 4 rounds. Surprisingly, the rain felt good while running. Of course we know Wednesday was the Fouth of July. We had a great holiday with family and lots of good BBQ. 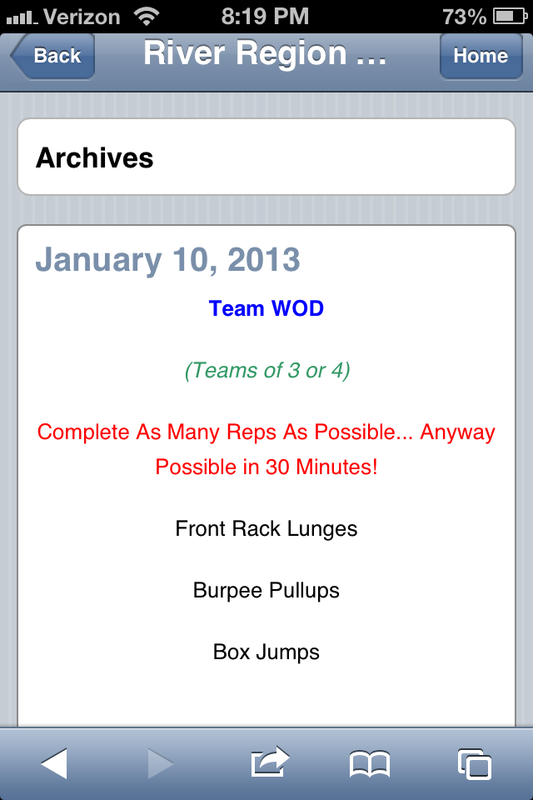 On Thursday, I just about fainted when I took a peek at the WOD on RRCF’s website. Several thoughts ran through my mind: I should skip, I’m going to die, What was Josh thinking? ?, Are you serious?, OMJesus!! Can you now understand my paranoia?? I made it through just under 35 minutes. So now we come to today, Friday. I decided to wear what I thought was the cutest dress, but little did I know that it actually reminds people of Dorothy from the Wizard of Oz and considering it is July and not October – I didn’t actually take it as a compliment. So, here it is, my “Wizard of Oz” dress bought at Old Navy. Boo! …this is gonna KILL me. Chalk, did you say chalk?!?!?! I attended a Power Yoga Class at the YMCA last Friday with a friend, Lori, from work. I’m in my downward facing dog and my hands are getting sweaty. Naturally, as a CrossFitter, I immediately looked for the chalk bucket. There’s no chalk in Yoga!!!! Turns out, my coach Josh uses it before he types. Ha!